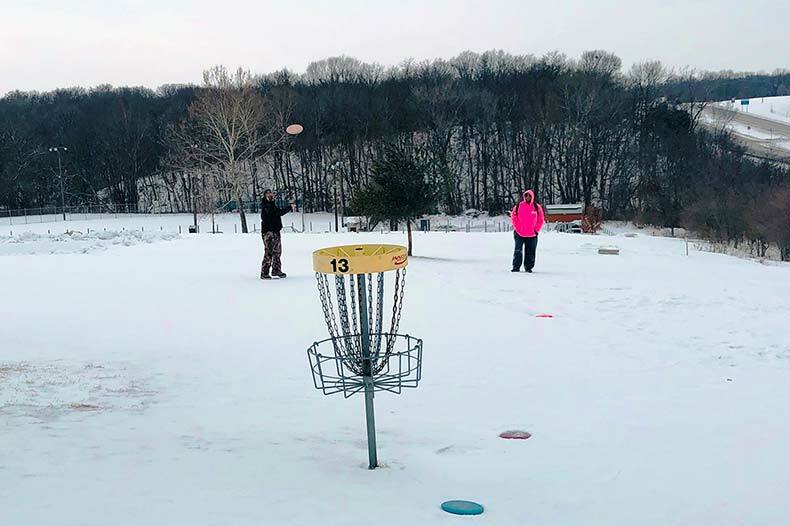 With several inches of snow and ice on the ground Saturday at Huckleberry Park, it was a little difficult to walk, but that didn’t stop disc golfers from playing. 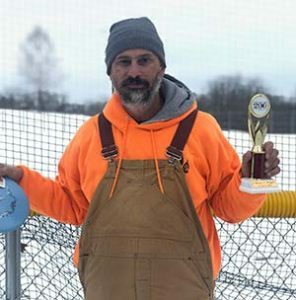 Winners received a special trophy because Hannibal is celebrating its Bicentennial. Proceeds from Ice Bowl went to the Buddy Pack program, which benefits more than 500 Marion County schoolchildren. The program allows children to take home backpacks full of free food each Friday. The backpacks are full of juice, soup, cereal, peanut butter and other simple staples. The goal is to make sure low-income children stay fed, healthy and productive. 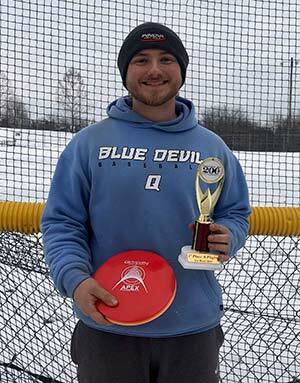 The tournament was played at the Don Crane Disc Golf Course in Huckleberry Park, sponsored by the Hannibal Parks & Recreation Department. Gateway Disc Sports in St. Louis donated prizes. 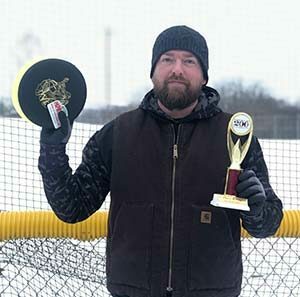 1st: James Reichert of Quincy, Ill.